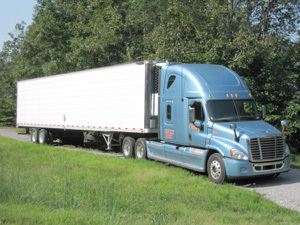 WCD Trucking maintains a fleet of 53' refrigerated trailers well suited for transporting all kinds of fresh food commodities and frozen product such as fresh meat, poultry, pork and more. Each of our fleet trucks is equipped with the latest GPS technology for accurate tracking and monitoring of your cargo. Our focus is on service, proactive communication, timely arrivals and fleet management. We have a standard of excellence that we strive for daily and a long history for providing exceptional service. When experience and dependability matters, you can count on WCD Trucking.